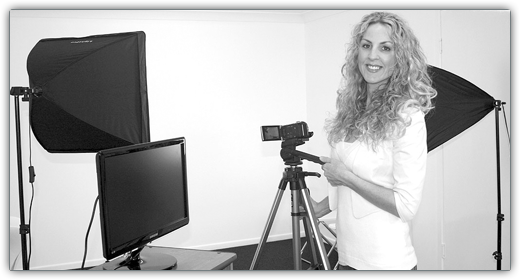 Miss Jane Casting offers a professional, personalized and dedicated Film & Television Casting Consultancy throughout Queensland and via affiliations in Sydney and Melbourne. Jane Pearson and her team have earned themselves enviable reputations as reliable, efficient and savvy casting professionals servicing Brisbane, the Gold Coast and Sunshine Coast as well as regional areas of Queensland for the past seventeen years. Miss Jane Casting works out of a spacious casting studio designed to deliver high quality, hassle free casting and audition workshops all in one neat little package. All Castings are uploaded to website for instant viewing, allowing clients to access quality professional talent whilst staying ahead of their own tight schedules. The venue is also a perfect rehearsal / workshop space and is available for hire by actors seeking professionally shot monologues, screen tests and show reel scenes. Located almost precisely between Brisbane and the Gold Coast to conveniently service clients, talent agents and performers from both key QLD regions. Miss Jane Casting has cast hundreds National & International Television Commercials. Jane and her team are trusted and reputable judges of commercial talent, maintaining an extensive database of diverse and talented performers to ensure every client is given both bankable and comprehensive options for every role. Jane's casting team endeavours to exceed the expectations of every client and consistently improve on their own best work on every single job they take on. MJC exceeds in extracting the best performance out of talent, testing thoroughly and acutely within context for every role with a uniquely non-daunting approach to the audition experience. Performers feeling comfortable are confident to deliver their best and benefit most from the experience, creative insight and technical expertise offered to them by Miss Jane Casting. MJC strives to deliver a service standard above and beyond your casting requirements, no matter how large the job or how challenging the roles you need to fill.